How has PETCO assisted The Waste Trade Company? The Waste Trade Company values the building of long term relationships with various stakeholders within the recycling industry. PETCO plays a crucial role in raising awareness about recycling on a national scale. This influences the demand for recycling from the consumer, which benefits all involved in the recycling supply chain. PETCO awarded TWTC with the Recycling Educator of the Year award in 2013, this has assisted us in gaining credibility in the industry. Winning awards such as these also offers us the benefit of differentiating ourselves from our competition. 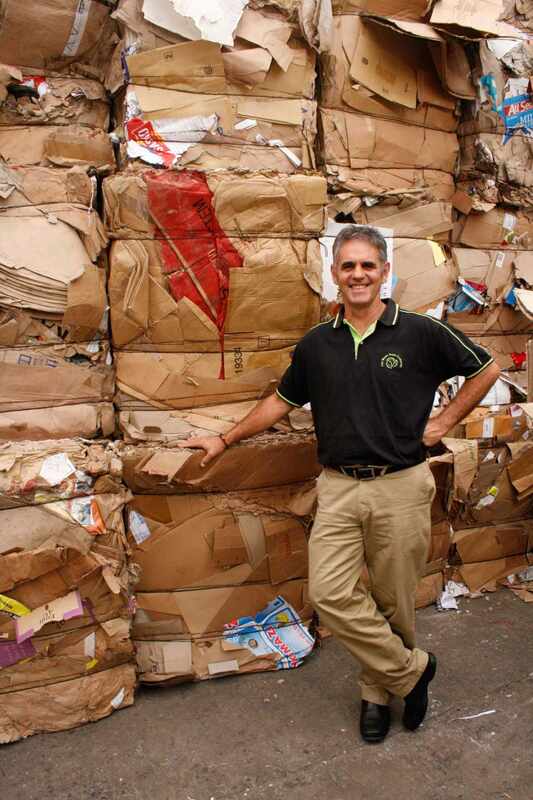 The donation of a container for The Rainbow Nation Recycling Club has assisted with reducing costs per collection, as the project now gains from economies of scale. The container is used as storage space for PET which is collected by children from Clarendon Marine townships. Furthermore, PETCO kindly donated small prizes for The Schools Recycling Project, which were used for assembly talks. PETCO also promotes our recycling initiatives on social media, which again assists in gaining industry credibility, as well as raising brand awareness. Please describe one or two people's stories who have benefited from this assistance in particular? A few quotes from them would be really amazing. Penny Anderson originally founded The Rainbow Nation Club in 2011 as a container education helpline where learners had access to computer and internet facilities after school. Extra lessons in music and maths were also provided by volunteers. As the project grew, it attracted donations for the learners, who were all from the local township. In 2013 Penny introduced a recycling element to the club, and changed the name to The Rainbow Nation Recycling Club. Learners could collect plastic bottles and bring them to the club where they received a credit for these bottles. This credit could then be used to purchase donated consumables inside the container. The basic business model was designed to derive an income from plastic bottles that were brought to the container by the local children by selling the PET to The Waste Trade Company. The collection of the plastic presented a challenge as the club is in Kini Bay, outside of Port Elizabeth, beyond the routes of most recycling collectors. PETCO generously donated a container to the project which is now used for the storage of PET. This has benefited The Rainbow Nation Recycling Club as it provides a secure venue to store the PET. We can now collect the PET per truckload, which enables us to continue providing the project with a financial rebate. Going forward, what is the company vision, and how can PETCO help? The Waste Trade Company shares PETCO's appreciation of sustainable community development, and as such has opened a depot in Addo to service the Sundays River Valley Community. Assistance in empowering entrepreneurs in the provision of equipment such bins, cages and baling machines plays a key role in determining their success. We have researched the feasibility of setting up recycling depots in two rural areas, and are currently discussing the available resources with the relevant communities. The donation of equipment would play a vital role in the success of these ventures.